December has arrived! And with it, for many, comes the anticipation of holiday activities, traditions and celebrating with family and friends. Alight at Night at Upper Canada Village: travel back in time to the days where wagons were drawn by horses, and buildings were built by hand to view the magic that is the over half a million lights lit up throughout the village’s streets, trees, shops and homes. From December 1st to January 6th between the hours of 5pm and 9pm, Upper Canada Village will offer scenic horse drawn wagon rides, a life size gingerbread house, a toy train ride for the kids and so much more. Originals Ottawa Christmas Craft Sale: Ottawa’s very own 10-day holiday shopping event! Between December 7th and 17th, the EY Centre will gather some of Canada’s most talented artists, artisans and designers for you to meet and purchase from – over 200 to be exact! A great opportunity to support our local community as well as cross a few items off your shopping list! For more information on hours, admission and handmade goods, follow this link to their website. Stanley’s Christmas Village: get whisked away by horse drawn carriage to Ottawa’s only Elf Village! Every Saturday and Sunday through December (until the 23rd), Stanley’s Olde Maple Lane Farm offers you and your family the ultimate Christmas experience – as seen through the eyes of an elf. Enjoy a hot cup of cocoa, and take a ride through the Wrapping Warehouse, The Reindeer Stables, Ginger’s Bakery and so much more. And hey, why not end your day selecting your very own Christmas tree? Freshly cut, locally grown trees are now available at the Farm – all additional details can be found here! 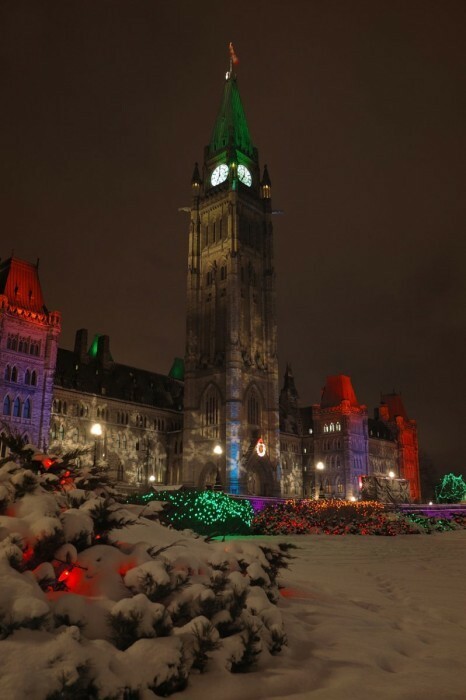 Viewing the Christmas Lights: With our nation celebrating its 150th milestone this year, the City of Ottawa (and across the bridge into Gatineau) have set up thousands of lights for your viewing pleasures. Catch the glow between December 7th and January 7th of 2018. And it doesn’t end there! if you’d like to experience even more spectacular “drive-through” light displays this holiday season, load up the car, blast the Christmas tunes and venture to the Magic of Lights in Ottawa’s west end at Wesley Clover Parks or even the beloved Taffy Lane in Orleans. Needless to say, the number of Christmas activities that our City has planned for us this holiday season are endless – and absolutely amazing. From rides in sleighs to light displays, there is something for everyone and more. Have a safe and memorable holiday!